On 16 December 2010, following a warning issued by the Prosecutor of the International Criminal Court to perpetrators of possible crimes in Ivory Coast, supporters of Alassane Ouattara - the internationally recognized winner of the disputed presidential elections - clashed with riot police loyal to incumbent Laurent Gbagbo, leaving at least 20 people dead. Prior to this dispute that has raised concerns of another civil war in Ivory Coast, the electoral commission declared Alassane Ouattara the legitimate winner of the 28 November presidental run-off election, but the Constitutional Council (reportedly loyal to Laurent Gbagbo) later overturned the results and declared incumbent President Laurent Gbagbo the "legitimate" winner. This marked a major setback to attempts to secure a fragile peace in Ivory Coast. The ensuing power struggle endangers lives in the west African country, and although power struggle and post-elections violence is typical in Africa, commonsense suggests that no life should be lost because of attempts to cling to power. Times have changed and this time, the world is closely watching the events in Ivory Coast. The African Union, in a rare move, has asked Laurent Gbagbo to step aside, the European Union (EU), United Nations (UN), Economic Community Of West African States (ECOWAS), United States, South Africa, France and Nigeria have done the same. Ivorians have the right to elect their leader and according to the independent national electoral commission and the international community, the masses democratically elected Alasssane Ouattara. Laurent Gbagbo should do the right thing and relinguish his firm grip on power. The people have spoken and they deserve to have their voices heard. Perpetrators of post-elections violence and crimes in Ivory Coast and beyond would eventually have their day in a national or international court of law. 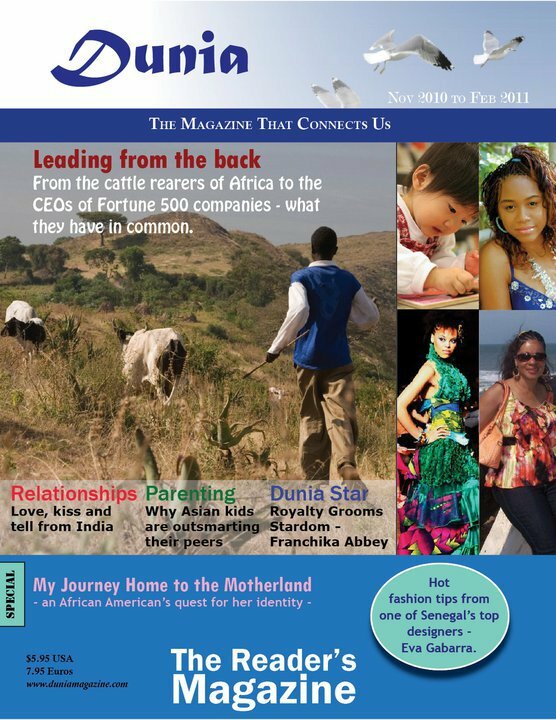 I'm glad to inform you that the second issue (November 2010 - February 2011) of Dunia Magazine is available and it includes my article on leadership, as well as other compelling, entertaining and educative articles on parenting (Why Asian Kids are outsmarting their peers), relationships (Love, kiss and tell from India), fashion and much more from talented Dunia contributors. It is worth mentioning that my article on this issue focuses on a powerful lesson learned from cattle rearers. Yes! Cattle rearers. Read more about the vision of Dunia Magazine on the official website and subscribe. Dunia is available online and in print. Hard copies are shipped globally. 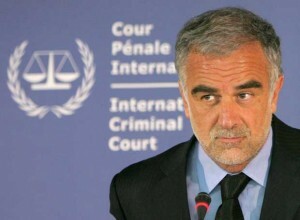 The International Criminal Court (ICC) Prosecutor, Luis Moreno-Ocampo (pictured) has warned all parties involved in the disputed Presidential elections in Ivory Coast that the court would prosecute perpetrators of crimes - should violence escalate. This warning comes only a day after the Prosecutor presented a case against six Kenyans for massive crimes against humanity committed during the 2007-2008 post-election violence in Kenya. Ivory Coast is in chaos and recent events have raised fears of violence and possible commission of crimes - as incumbent President Laurent Gbagbo clings to power after reportedly losing the Presidential election to opposition leader - Alassane Ouattara. 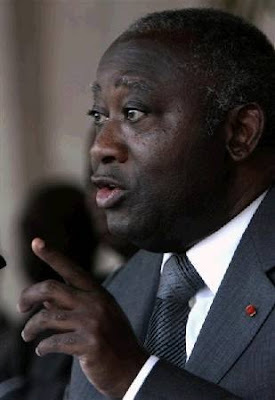 Incumbent Laurent Gbagbo clings to power despite loud and clear calls from the international community, including the African Union, United Nations, European Union, Economic Community of West African States (ECOWAS), and countries including the United States, South Africa, France, Nigeria. Earlier today, troops loyal to Laurent Gbagbo clashed with supporters of Alassane Ouattara in Abidjan, killing at least one person. This post-election chaos in Ivory Coast is representative of the sorry-state of democracy and the rule of law in Africa - a continent where incumbent Heads of States, more often than not overrule the peoples' choice in presidential elections and cling to power. This, no doubt, often leads to post-election violence and massive crimes against unarmed civilians. We have seen it in Zimbabwe, Cameroon, Kenya, you name it. Although Ivory Coast is not party to the Rome Statute, the ICC Prosecutor's warning against possible violence in Ivory Coast is a timely deterrent against possible crimes against humanity in the west African state. Governments shouldn't use the principle of "Sovereignty" as a shield against justice. No one should die as a result of power mongering and disputed presidential elections. Above all, under no circumstance should perpetrators of post-election crimes against humanity go unpunished. Today, my request to join Amnesty International Support group on LinkedIn was confirmed (thanks to the moderator). Naturally, I visited the group's profile to join the discussions. 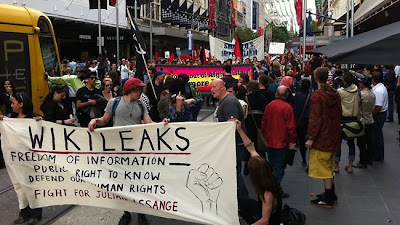 Behold - the most popular discussion in the group at the time of my visit was an open letter to the Prime Minister of Australia in relation to the attacks on the founder of Wikileaks - Julian Assange, an Australian citizen. In the open letter to Prime Minister, Julia Gillard, the authors express "grave concerns" for Julian Assange's wellbeing and their "believe that Julian Assange is entitled to all protections enshrined in the rule of law - and that the Australian Government has an obligation to ensure he receives them." It is no secret that the debate about Wikileaks is heated, and that calls to "punish" the whistleblower seem to be louder than calls to ensure that his fundamental rights (including the right to a free and fair trial) are respected. I wouldn't join the debate at this point, but I would say that the right to freedom of expression is a fundamental right and governments have an obligation under international law to recognize and uphold this dwindling right. It is the responsibility of States to ensure that "confidential" information is not leaked. In an event where such information filters out, governments should refrain from cracking down on private individuals who make the information public. At the moment, Julian Assange is under arrest on charges unrelated to Wikileaks. 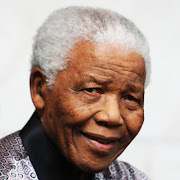 Legal action against Assange in relation to the publication of documents would be similar to the arrest of journalists in Ivory Coast for publishing a corruption report in July 2010. Before you take sides or jump into hasty conclusions, find time to read Q&A about Wikileaks and Freedom of Expression, and Wikileaks and Internet Freedom. Photo: Amnesty International USA Facebook page. This afternoon, the Norwegian Nobel Committee confirmed during a news conference conducted by Thorbjorn Jagland, chairman of the Norwegian Nobel Committee and Geir Lundestad, Director of the Norwegian Nobel Institute, that during the award of the 2010 Nobel Peace Prize on 10 December 2010, there will be an empty chair in Oslo's City Hall; a chair reserved for this year's Nobel Peace Laureate - Liu Xiaobo - because he can't travel to Oslo for obvious reasons - he is imprisoned in China for peacefully advocating political reform and fundamental human rights. The inability of Liu Xiaobo to occupy his seat and receive the Nobel Peace Prize in Oslo has sparked what I call the "Empty Chair" human rights campaign. 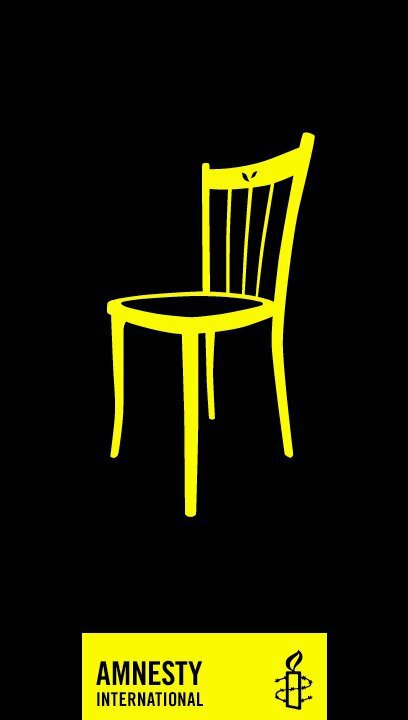 Earlier today, Amnesty International USA posted a photo of an empty chair on Facebook and urged supporters to show support for Liu Xiaobo and protest his imprisonment by using the picture of an empty chair as personal profile picture on Facebook, and take further action by signing a petition to free Liu Xiaobo. You are encouraged to support the empty chair human rights campaign as requested by Amnesty International USA, and spread the word. 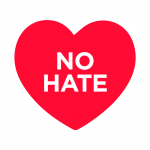 It is worth mentioning that supporters in China cannot join the Facebook campaign because the social networking site is banned in China, as part of a calculated attempt to limit freedom of expression and perhaps silence critics. Liu Xiaobo was sentenced to 11 years in prison on 25 December (christmas day) 2009 for "inciting subversion of state power." His wife is currently under house arrest and can't travel to Oslo to collect the award on his behalf. 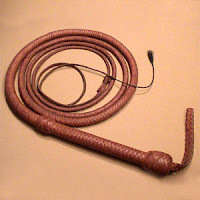 Lapiro de Mbanga. Source: Freemuse. In April 2008, a renown Cameroonian musician and "defender of the common man" - Pierre Roger Lambo Sandjo, popularly known as Lapiro de Mbanga was arrested and imprisoned for criticizing - in his lyrics - a controversial constitutional amendment that eliminated presidential term limits in Cameroon. According to Freemuse, an organization that advocates freedom of expression for musicians and composers, the singer was accused of inciting demonstrations against rising cost of living and the 2008 constitutional amendment. Recently, a video interview of Lapiro de Mbanga conducted by Freedom to Create, an organization that promotes creative expressions, surfaced on the internet. The imprisonment of Lapiro de Mbanga reveals limitations on freedom of expression and the right to hold and express opinions in Cameroon. No doubt, many people in Cameroon have been effectively silenced, and the few who dare to speak out do so at their own risk. Lapiro the Mbanga was sentenced to 3 years in prison. Sources say the song that cost his freedom - "Constitution Constipée" (Constipated Constitution) - was banned. 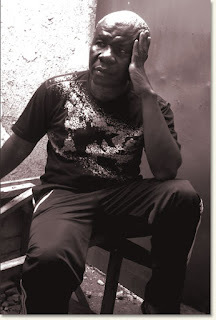 In a press release, the Executive Director of Media Foundation For West Africa, Professor Kwame Karikari, encouraged rights advocates and supporters to help secure the release of Lapiro de Mbanga by sending letters to the nearest Cameroonian embassy. It is worth mentioning that in 2009, Lapiro was awarded the Freedom to Create Imprisoned Artist Prize. Almost every nation has outlawed all forms of slavery, but I was shocked this afternoon to learn that more than 20 West African girls were trafficked from Ghana and Togo, and held as slaves in the U.S., precisely in Newark, New Jersey, many years after the "land of the free" abolished all forms of slavery and servitude. The girls were promised a world-class education and trafficked to the U.S., but upon arrival, they were held as slaves - working "7 days a week", sometimes "14 hours" a day in hair dressing salons for almost a decade. They lived in a middle class neighborhood and walked the streets, unnoticed, to and from work everyday. The traffickers collected all the money (including tips) the girls earned working as hair dressers. After watching the report today on News Stream - a programme on CNN International anchored by Kristie Lu Stout - I managed to find a short video that briefly illustrates the plight of the young West African girls . Watch. This case brings to mind the story of African women trafficked to Russia by a human trafficking and prostitution ring operating between Russia and Ghana (note that Ghana is mentioned in both cases of trafficking to Russia and the U.S.), and highlights the "slave owner" role played by Africans in modern-day slavery. The traffickers in this New Jersey case are reportedly Africans - a husband, wife and son. A court recently sentenced them to 24, 27 and 4.5 years in prison, respectively. Human trafficking is an unspeakable and intolerable violation of human rights, dignity and security of persons. Traffickers should bear the full weight of the law. Labels: human rights, Human Trafficking, U.S.